The following two documents were presented to the Waco Sustainable Resource Practices Advisory Board on December 5, 2018. They were prepared by Alan Northcutt, MD, and Sarah Brockhaus, member of the Board. One is a resolution for a 100% renewable energy pledge, designed to be approved by the board and sent to the city council of Waco. The other is a cover letter to go with the resolution. If supporters of the concept wish to sign the petition (and have not signed on line or hard copy previously) and are from waco area go to, they can go to https://www.change.org/p/city-council-waco-waco-city-council-pledge-100-renewable-energy-by-2050. A RESOLUTION OF THE COUNCIL OF THE CITY OF WACO, TEXAS, EXPRESSING A COMMITMENT TO ENDEAVER TO TRANSITION THE CITY TO 100 PERCENT (100%) RENEWABLE ENERGY AND COMMITMENT TO APPOINT A RENEWABLE ENERGY TRANSITION BOARD TO DEVELOP A PLAN FOR THE TRANSITION PROCESS. That the City of Waco is committed to strive to transition to 100 percent renewable energy through energy efficiency and utilization/production of wind and solar electricity within the electricity sector by 2035, with an ultimate goal of all sectors, including transportation, heating, cooling, cooking, and industry, becoming fossil fuel free by 2050. That a “Renewable Energy Transition Board” will be formed to develop a plan for the transition process, with a goal of completion by 2050. That the Renewable Energy Transition Board will determine the best way to meet the renewable energy goal through a transparent and inclusive process with stakeholders, which includes individuals representing which includes individuals representing areas such as environmental justice, academic institutions, and low income advocates. The Board will create a system to track plausible policy measures to stay on target, distribute the burden and benefits, and meet our renewable energy goals as stated above in a timely manner. That some of the policy actions to be considered by the Board may include: calculating total baseline city greenhouse gas (GHG) emissions; conducting robust efficiency audits of existing buildings and possible incentives for privately-owned building efficiency upgrades; improving efficiency standards for all new residential and commercial construction; transitioning municipal energy purchase contracts to 100% renewables upon their renewal in 2022; evaluating feasibility of a city owned electrical utility; encouraging and incentivizing renewable energy purchase agreements in the residential sector; obtaining a no-cost no-obligation proposal for rooftop solar installations on municipal facilities; incentivizing residential installations of rooftop solar; replacing City fleet vehicles with electric vehicles (EVs) or hybrid vehicles as soon as possible; incentivizing residents and business owners to transition to EVs or hybrid vehicles; installing non-Tesla rapid EV charging stations and evaluating access to grants through the Alternative Fueling Facilities Program (AFFP) of the TCEQ; and enacting a tree planting program, since trees act as carbon sinks, absorbing atmospheric CO2. PASSED AND APPROVED this ___ day of ________________, 2018. On Thursday, August 9, 2018, during a regularly scheduled meeting of the Sustainable Resource Practices Advisory Board, Alan Northcutt, M.D. provided a presentation on the Go Renewable Waco campaign, which encourages the City of Waco to transition to renewable energy and end the use of fossil fuels in all sectors by 2050. Dr. Northcutt is a 31 year resident of Waco, and Director of Go Renewable Waco. He provided a similar presentation with handouts to the City Council on February 20, 2018, and to Mr. Stem and administrative personnel on April 30, 2018. · The Go Renewable Waco Campaign has widespread support, including over 1,000 local citizen signatories to the Go Renewable Waco petition and the support of 13 local churches and other organizations. The U.S. Conference of Mayors, of which Waco is a member, expressed strong support for this conversion to renewable energy. · Across the United States, over 90 U.S. Cities, more than ten counties, and two states have already adopted ambitious 100% clean energy goals. Waco has an opportunity to lead the State of Texas, along with the Georgetown and Denton, in making this commitment. · Conversion to renewables will positively impact public health, as renewable energy is free of the harmful emissions that produce or exacerbate cardiovascular disease, asthma, and other pulmonary disorders, especially in children and the elderly. · Transitioning to renewable energy will provide economic growth potential via clean energy jobs, such as solar installers and green building professionals. o Conserving vast amounts of water resources given the persistent drought and crop losses in Waco and the entire state of Texas in recent years, and avoiding potential food shortages. o Lessoning the impacts of dangerous extreme temperatures, wildfires, flood days, and the spread of tropical diseases. o Eradicating the potential for devastating pipeline spills. o Reducing extreme weather events, rising sea levels, coral reef decline, and diminishing artic sea ice. The policies and actions required to adopt and implement a 100% renewable energy and end the use of fossil fuels in all sectors will be complex and will require further study. Therefore, this Board proposes that the City Council adopt the attached resolution committing to the transition of renewable energy and establishing a “Renewable Energy Transition Board” to study the topics outlined below and make recommendations for achieving the targets in the resolution. · Building Energy Audits: Conduct efficiency audits of municipal facilities, and recommend audits for local businesses and residences, with a possible incentive to increase participation. · New Construction Requirements: Evaluate strengthening efficiency standards for new buildings, including the adoption of green building codes and standards for municipal buildings and new development. · Power Purchase Agreements: Transition all power purchase agreements for the City to 100% renewable energy and incentivize businesses and residential consumers to purchase power from renewable providers. · Local Renewable Power Generation: Evaluate possibility of rooftop solar panel installation on city facilities and encourage the same for businesses and residences. · Transportation: Replace retiring municipal fleet vehicles with electric vehicles (EVs) or plug-in hybrids as soon as possible. Consider methods to encourage EV and hybrid use by businesses and citizens. · EV Charging Stations: Install full time accessible rapid charging facilities for vehicles, as Waco currently has none for non-Tesla vehicles. The Sustainable Resource Practices Advisory Board recognizes the pivotal importance and environmental necessity of transitioning to a clean energy future, and that the City will accrue environmental and economic benefits from this effort. It is therefore our strong recommendation and request that the City Council adopt the proposed resolution. *This letter was prepared in collaboration between Board member Sarah Brockhaus and Alan Northcutt, M.D. and approved in full by the Board. Note: the complete list of over 1000 signatories to the petition was provided to Waco Mayor Deaver at the time of the Campaign’s presentation to the City Council Feb 20, 2018. See also, Bliss L. The U.S. Conference of Mayors Resolves to Support 100% Renewable Energy. Citylab. Jun 24, 2017. See, Ready for 100. The Sierra Club. See, Renewable Power Generation Costs in 2017, International Renewable Energy Agency (IRENA). 2018, Abu Dhabi. 15,20. See, Perera F., Pollution from Fossil-Fuel Combustion is the Leading Environmental Threat to Global Pediatric Health and Equity: Solutions Exist. Int J Environ Res Public Health. 2018 Jan; 15(1): 16. See, Garrett-Peltier H., Green versus Brown: Comparing the Employment Impacts of Energy Efficiency, Renewable Energy, and Fossil Fuels Using an Input-Output Model. Economic Modeling. Feb 2017; 61: 439-447. See, The Potsdam Institute for the World Bank. Turn Down the Heat: Climate Extremes, Regional Impacts, and the Case for Resilience. Washington, D.C. 2013; 1-191; and also, Texas Livestock Producers May be Eligible for 2018 Drought Disaster Assistance. Southwest FarmPress. Mar 30, 2018; and also, Kondash A, Vengosh A. Water Footprint of Hydraulic Fracturing. Environ Sci Technol Lett. 2015; 2(10): 276-280. See, Romm J. Climate Change: What Everyone Needs to Know. Chapter 3: Projected Climate Impacts. Oxford University Press, New York. 2018; 77-150. See, Stover R, Center for Biological Diversity. America’s Dangerous Pipelines. Center for Biological Diversity. 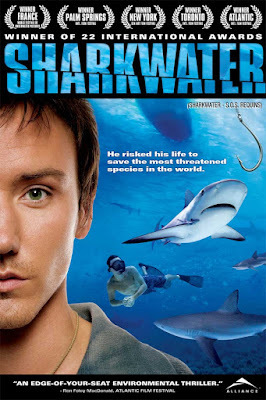 This documentary describes the shark’s struggle against extinction, its role in a healthy ecosystem and the protection of planetary oxygenation. Winner of 22 international awards, the film is an environmental thriller with stunning images. At the meeting there will also be a review of the Go Renewable Waco campaign and a discussion of the next steps in the campaign, as well as free climate change merchandise. Wednesday, December 5, 2018, 3:45pm. (Board convenes at 4:00pm). Please be very quiet while waiting to enter, whisper only, if a meeting is taking place before ours. Clothing: please wear your new green FOP/C t-shirt, or other light green shirt. We expect about 54 degree F, so jacket may be advised before entering the meeting. Schedule: we expect brief comments from Sarah Brockhaus (my collaborator) and myself before any action is taken on the resolution. We are not certain if other audience comments will be allowed at that time. If so: please keep your comment concise and focused squarely on our goal of approval of the 100% renewable energy pledge for Waco. Primary actions will include conservation, renewable source for electricity, transition of city vehicles to EVs. The importance of this commitment to renewable energy for you and your family would be powerful--personal experience. Reminder: we want to express the best possible decorum, so please be silent when anyone else is talking. We do expect a vote or other action on the Resolution. As in August, the Waco FOP/C will provide dinner (with appropriate vegetarian/vegan options) after the meeting, and hopefully this will be a victory dinner. Finally, PLEASE INVITE EVERYONE IN YOUR CONTACTS TO ATTEND: We have the science behind us, but we wish to again emphasize public support in Waco.